We can transform your smile into one that is bright, beautiful and one that you'll be proud to show off. Your mouth is the gateway to your health. Let us partner together as one to achieve successful dental and whole health. To improve and prevent oral/ systemic diseases for the local and surrounding communities, and uttermost parts of the world, by providing overall whole health education to restore the oral, physical, mental and spiritual avenues. We know how important having a great smile is to looking and feeling good. That's why Dr. Randal Elloway and the entire team at our Red Bluff, California dental practice is committed to providing the highest quality in family and cosmetic dentistry. Leveraging today's latest technology, Red Bluff dentists Dr. Randal Elloway can create results that change how you look and feel. Whether you need a routine checkup, or more advanced procedures like a smile makeover, our dental practice offers a wide variety of procedures to uniquely fit your needs. We can also provide digital dentistry and CEREC® for efficient tooth replacement options. In addition, our friendly staff ensures your visit to the dentist is affordable and comfortable. If you are searching for a Red Bluff family dentist or a Red Bluff cosmetic dentist look no further, contact us today at (530) 527-6777. We invite you to look around our site to learn more about Dr. Randal Elloway and our Red Bluff dental practice to see how we can be an integral part of your dental care. We know that the first step towards a beautiful smile begins with selecting a Red Bluff dentist that you can rely on. Don't hesitate to give us a call if you have any questions, or if you would like to schedule an appointment. Randal S. Elloway DDS, Inc is located at 2426 S Main St, Red Bluff, CA. We are currently accepting new patients, and you can schedule an appointment by calling 530-527-6777. Randal Elloway, DDS and the staff at Randal S. Elloway DDS, Inc provide quality dental care to patients in the Red Bluff area, focusing on a comprehensive approach to oral health. By treating and educating patients, our team helps patients to stay healthy in between visits. Our staff understands the importance of listening to patients, helping them to feel comfortable and relaxed. This personal approach is evident in everything we do. 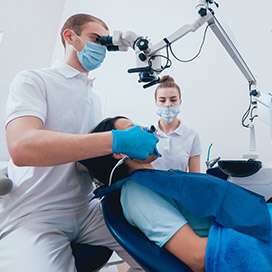 From making an appointment, filling out paperwork, conducting an examination, and providing dental treatments, the staff at Randal S. Elloway DDS, Inc take the time to connect with patients and give them the thoughtful attention they deserve. Our team is trained on advanced dental procedures and techniques so that patients can benefit from the latest in dental care. Randal S. Elloway DDS, Inc provides a wide variety of dental services and procedures to address all of our patients' dental health needs. By combining quality patient care with up-to-date technology, we are able to treat patients of all ages in a comfortable and relaxing setting. Our website includes information on the following items: Dentist, Cosmetic Dentist, Emergency Dentist, Dental Veneers, Dental Crowns, Dental Bridges, Root Canals, Dental Implants, Dentures, Digital Dentistry, CEREC®, Family Dentist and more. Our Dentist and expert staff are trained to not only treat patients but to identify what caused the health concern in the first place. This comprehensive approach sets patients of Randal S. Elloway DDS, Inc on the road to recovery and long term oral health. 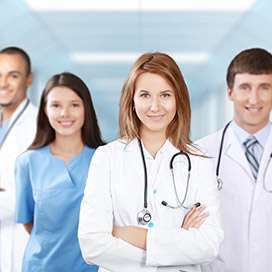 When you walk into the office of Randal S. Elloway DDS, Inc you will be immediately greeted by our friendly staff who are dedicated to making sure that you feel comfortable during your entire appointment. We understand that patients can feel anxious when going to the dentist, and our staff will take the time to listen to all of your concerns and help you understand exactly what your procedure is going to be like. At Randal S. Elloway DDS, Inc we pride ourselves on being an affordable family dentist that accepts a variety of insurance plans and payment options like cash and credit cards, because we want to provide a beautiful, healthy smile to everyone in the Red Bluff area. Call Randal S. Elloway DDS, Inc today at 530-527-6777 to see why we are the dentist of choice in the Red Bluff area.